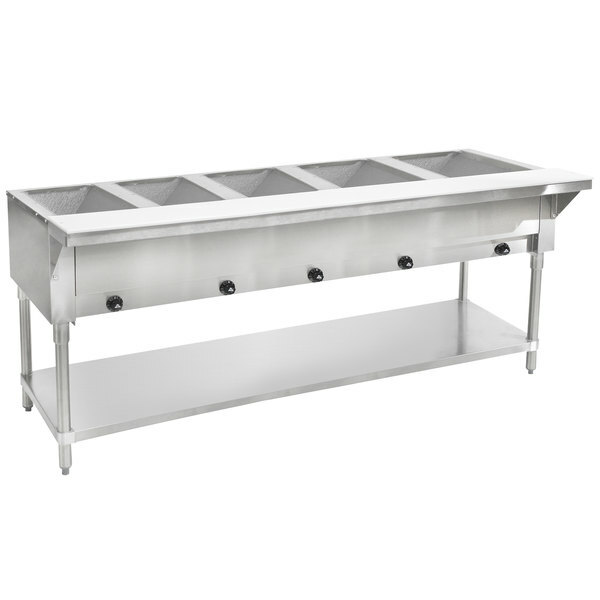 The Advance Tabco HF-5G natural gas powered 5 well hot food table is designed to keep your food hot and ready to serve for the entirety of your meal service. 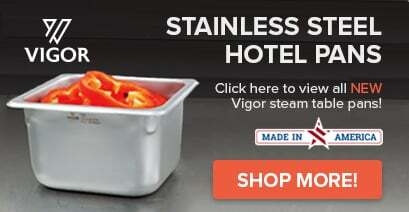 Its infinite control knobs and indicator lights make it easy for you to set and adjust temperature for all of your hot dishes. These components are also recessed to help prevent clogging and breakage from spilled food and dropped pans. 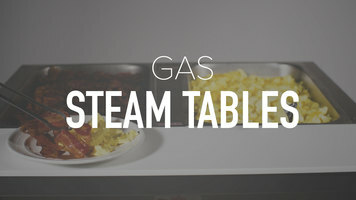 For additional work space to help with prep and plating, an 8" wide, white thermoplastic cutting board is included. The board is easily removable for cleaning, and it's supported by a full length shelf, offering excellent stability.